This is where I'll share pictures of our family's flock. If you'd like to see pictures of the chicken coop I designed and built, please visit the coop page . 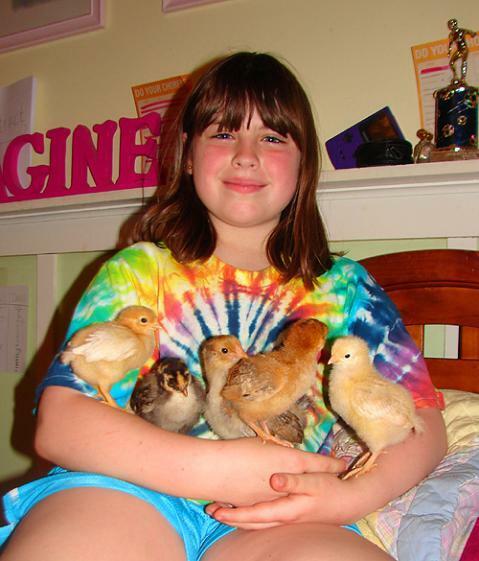 My daughter, Elinor, holding some of our newest chicks. From left to right: Lola, Bella, Nadine, Lucy and Pearl.